At the former Wessex Maternity Centre in Hampshire in 1998. The wessex workouts were formed by personal fitness trainer Nigel Philips - due to the demand for women having and wanting safe structured exercise classes to maintain their fitness in pregnancy and beyond. This then became BabyFit UK. 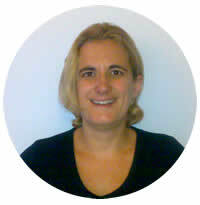 In 2003 BabyFit UK then teamed up with Debbie Howells who now leads the programme. Debbie qualified as a nursery nurse in 1994, and then a specialist fitness instructor since 1999 before qualifying as a midwife in 2003. Debbie had been running aqua and various different classes but is very passionate about exercise in pregnancy and beyond was keen to expand and teach these unique, specific, specialist courses in her area. Along the way she has also obtained a certificate in education and tutors for professional fitness and education (www.pfetraining.co.uk) Debbie has also had articles published in Midwifery journals on exercise in pregnancy, and has been involved in writing patient leaflets for post natal exercise and weight management in pregnancy. "Listening to our new mums we discovered that many of them wanted to started exercising again but were unsure when, or how to go about it. After talking to Nigel we now have a unique and very popular class to get mums back into shape and baby relaxed and smiling. The key is the specially adapted exercises which take into account the very elastic nature of new mums tendons and ligaments after birth whilst at the same time gets mums and babies working closely together"